The Greater Wellington Regional Council has given warning that people and dogs must avoid going into the water at the Ōtaki and Waikanae Rivers. 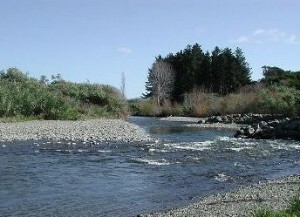 Ōtaki River is at extreme levels of more than 50% riverbed cover. Detached mats of dried algae are widespread along the river margins. Mats have also been found in the Waikanae River at Jim Cooke Park. 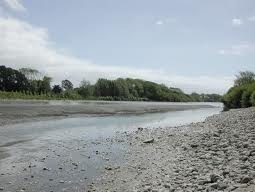 This is the first time guideline levels have been exceeded in Ōtaki River. The affected area extends from Hautere all the way down to the river mouth. The stretch of the river below SH1 is particularly bad. In particular, swimmers should avoid this reach as the risk is very high. Caution is also advised when choosing a swimming spot in the Waikanae River downstream of SH1, due to the presence of detached mats.